The 'protorothyridids' and araeoscelids were the first anapsids and diapsids, respectively, in the Late Carboniferous, but both clades expanded during the Permian. Most of these animals were of small or medium size, but the pareiasaurs were an unusual and important group of Late Permian herbivores that achieved considerable size. 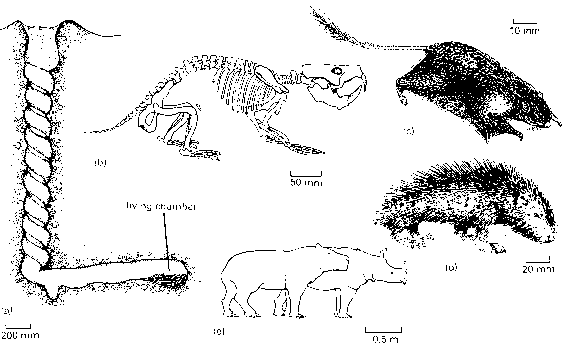 The relationships ofthese disparate anapsid and diapsid groups have been controversial (see Box 5.1).